To kick off home repurposing week on this space, I want to show you the first half of something that I have absolutely loved doing and now enjoy in my home. By now you should know that I love to repurpose canvases. Once repurposed they can change up any room in your house. See other canvas repurposing here, here, and here. I've never been a fan of my mantle. Mantles are supposed to be a visual focal point, right? Before the parents' party I've been really wanting to change it up. Make it specific to the current season. So I repurposed my apple painting. I didn't feel any great attachment to it since I painted them just for that space. 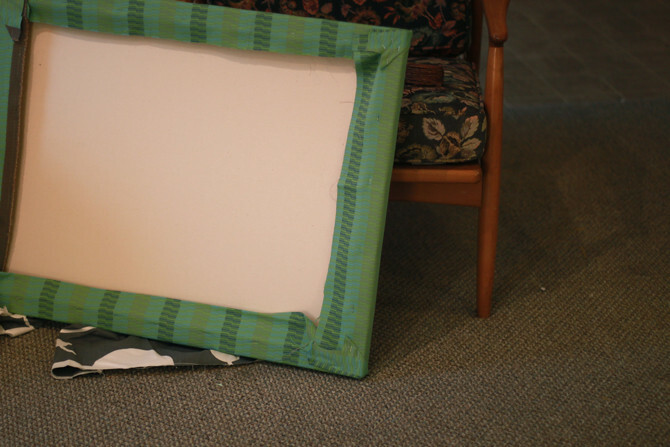 Plus, I was determined to only use what I had for the project and I needed that size of canvas. Stretch fabric (mine was from a friend's craft supply swap--it is an home decor fabric which I love) over a canvas. Staple the fabric to the back. This particular canvas' width is about 2 inches wide. 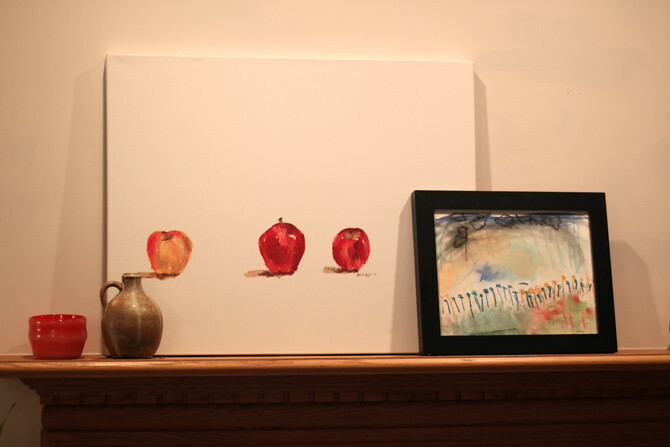 The wider the canvas, the more substantial it looks on your mantle. 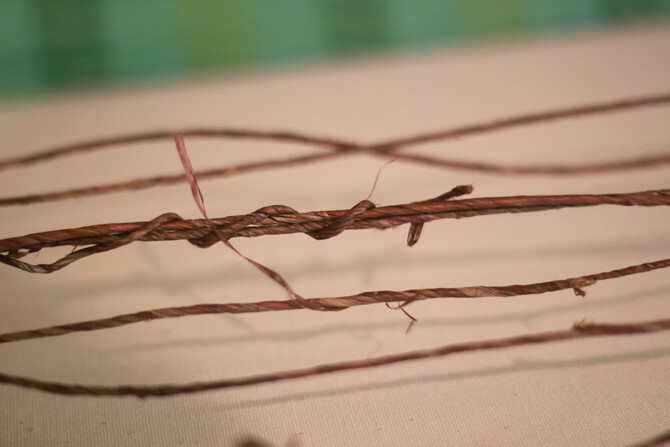 You'll need some of that natural twine covered garden wire. What a fun wire this is! (I found mine in the wire section at the craft store.) I already had this on hand for a different project. You will use the whole spool of it. 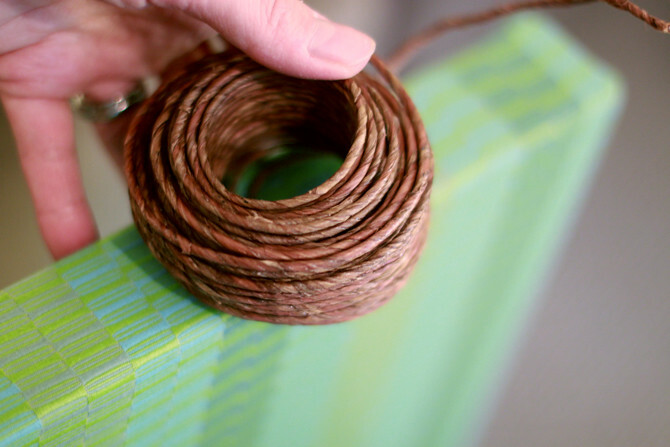 Start on the back and wrap the beginning piece of wire to the first loop you've made to secure. 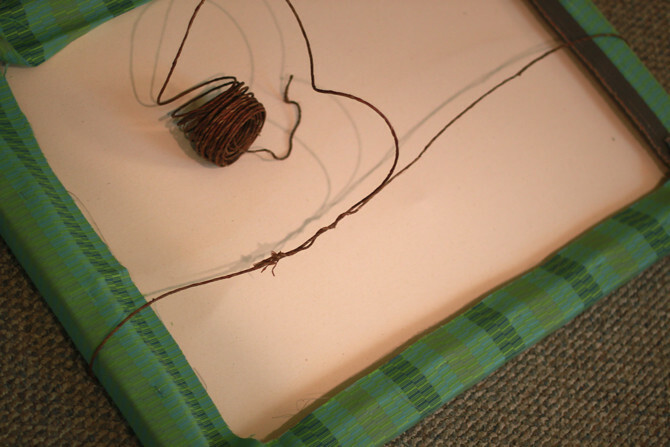 Now all you are going to do is wrap and wrap and wrap this wire around the middle of the canvas. 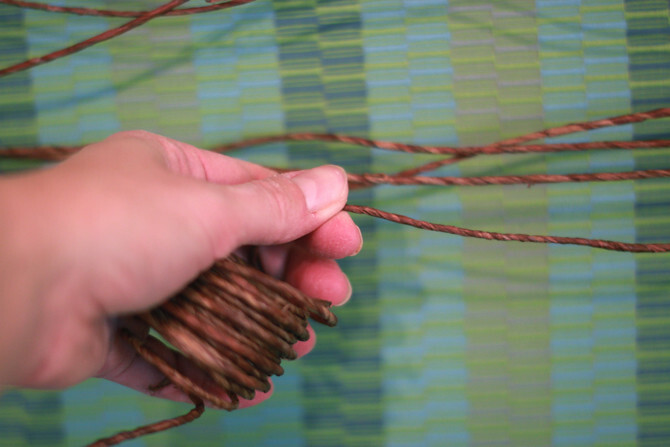 Once you get to the end, twist that end piece of wire to another loop to secure. This is how the back should look. 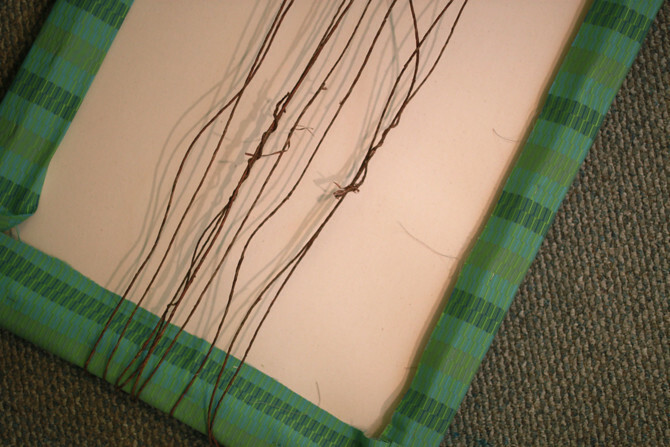 So you can imagine, the front will look the same (without the twisted wire beginning and end). I know this is cruel, but this is all I'll show you of the front until tomorrow. I think you're going to love this! 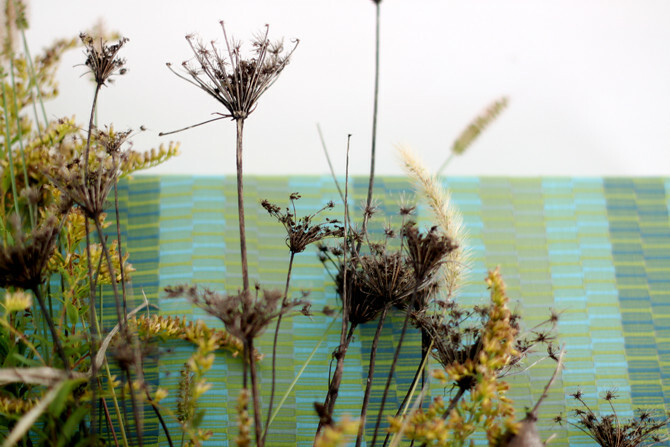 This functional art project will be perfect for any focal point in your home, whether in the living room, kitchen, or even bedroom. Especially for fall. Come back tomorrow to see home repurposing revealed!